Hair fall is the main problem these days. Both men and women are suffering from hair fall. What is hair fall? The answer is simple - when the rate of hair loss exceeds the rate of hair regrowth then it is called hair fall. Its okay to lose 50 to 100 strands per day. But if the frequency of hair fall is more then you have to take some steps. You should consult your doctor if you have severe hair fall. 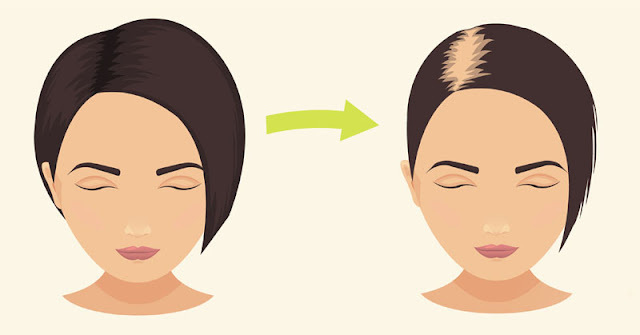 But if the situation is not so bad then you can use some homemade DIY recipes to stop hair fall. Use of too many hair products. Don't wash your hair too often or too less. Coconut milk is rich in vitamin E, potassium and protein. All these contents are helpful in stopping hair fall and regrowth of hair. Coconut milk reduces the breakage of hair and makes them silky & smooth. It strengthens the hair from root to tips. It also has antibacterial properties that help to cure dandruff and scalp infection. Method to use: Grate the coconut and squeeze the milk by adding water into it. Now apply this coconut milk on to your scalp by using hair dye brush. Cover your head with a towel and keep it on your hair for 30 minutes. Wash your hair with mild shampoo. You can use this remedy once a week. Aloe vera helps to balance the pH level of the skin. It penetrates easily into scalp and promotes hair growth. Aloe vera also reduces the problem of split ends if applied directly on the hair ends. Method to use: Extract the pulp from the aloe vera leaf. Remove the yellow colored sap because it contains toxins that can cause irritation. Apply the aloe vera gel on to your hair and massage your scalp in circular motion. Leave it on your hair for one hour. Then wash your hair with normal water. You can apply aloe vera on your hair whenever you take head bath. You can also apply it directly on your dry hair ends as many times as you want. 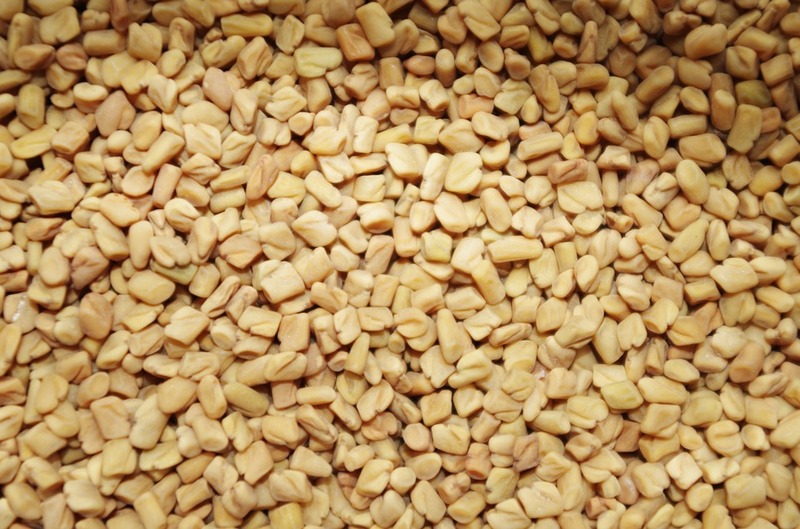 Fenugreek seeds are best for hair. It makes the roots of hair strong and promotes hair growth. It also makes the hair shiny and smooth. 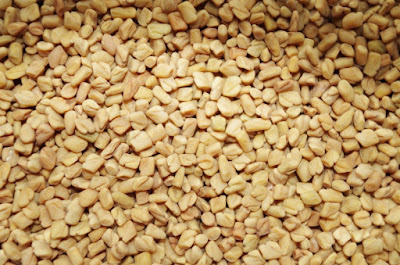 Method to use: Soak 2 tbsp fenugreek seeds in water overnight. Next morning, Make the paste from these seeds by grinding. Now add required amount of yogurt and almond oil into this paste. Apply this pack on your hair scalp by making partition of hair. Keep it on the hair for about 1 hour. Wash off thoroughly with lukewarm water. You can use this hair mask for once or twice a week. Neem stimulates the blood flow to the scalp and so promotes hair growth. Neem has antibacterial properties that remove dandruff as well as head lice. Method to use: Boil the neem leaves in water unto water level comes down to half of its quantity. Wait for the mixture to cool. Then rinse your hair with this mixture. Make sure you use this remedy after shampooing your hair. You can use this after every hair wash.
Indian gooseberry (also known as amla) is rich in vitamin C. Vitamin C helps to build collagen that is very important for hair growth. Indian gooseberry strengthens the hair roots and prevents hair fall. It also stops graying of hair. Method to use: Mix all these three ingredients to make a paste. Apply this paste on to your hair and leave for 30 minutes. Clean your hair thoroughly by normal water followed by shampooing the hair. You can use this remedy once a week. Onion has antibacterial properties that remove dandruff and any type of skin infections. It also has a high content of sulfate. Sulfate improves blood circulation to the hair follicles and encourages hair growth. Method to use: Grate one onion and extract its juice by squeezing it. Now add 3 tbsp of coconut oil in it and apply on the scalp. Leave it on for about 30 minutes. Rinse your hair with normal water. Shampoo as usual. You can use this remedy once a week. Hibiscus flowers are rich in vitamin C. It promotes the blood circulation under the scalp. So, it helps to control hair fall and also stimulate hair growth. 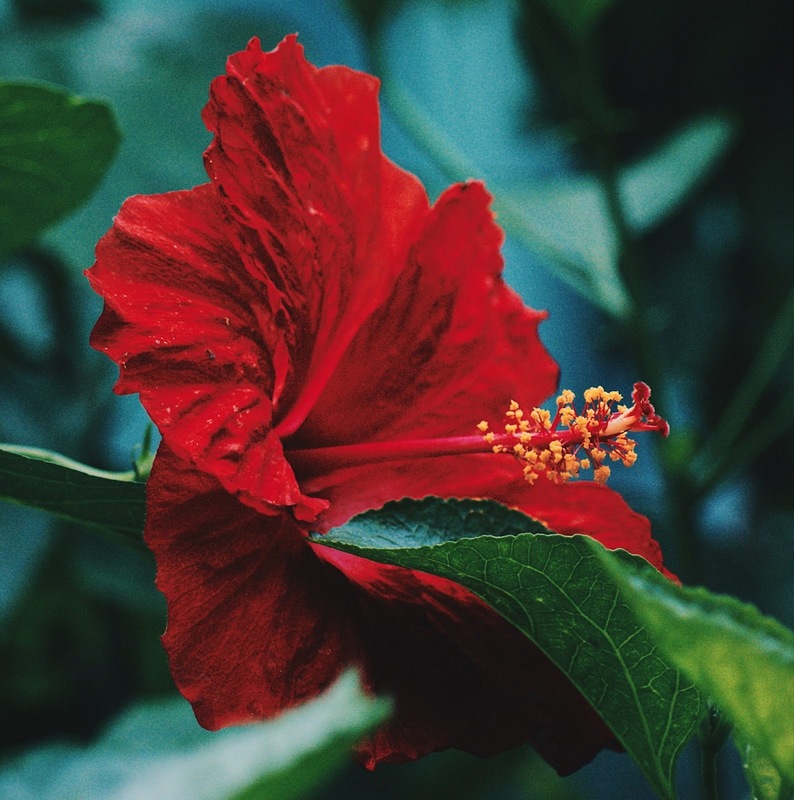 This flower also controls the premature graying of the hair. Method to use: Add coconut oil in the pan and put the pan on the flame. Let the oil to boil. Add hibiscus flowers in the boiled oil. Keep the flame on till the flower gets charred. Switch off the flame and strain the mixture to collect the oil. You can keep this oil for 20 days in an airtight container. Use this oil twice a week to get the better results. Coconut oil is rich in vitamin E and it also has antibacterial properties that remove dandruff and fights with the skin infection. It strengthens the hair and gives a natural shine to the hair. Olive oil, on the other hand, improves the elasticity of hair and prevents hair breakage. Almond and castor oils are also rich in vitamin E that makes the hair strong, prevent hair fall and grow new hair. Methos to use: Mix all these oils and apply on the scalp by making partition of hair. Leave it on the hair for one hour. Wash your hair with a mild shampoo. You can use this before every hair bath. Curry leaves are the rich source of protein and beta-carotene which are helpful to reduce hair loss and promote hair growth. It also contains antioxidants and amino acids which strengthen the hair follicles. Curry leaves give moisturizer to the scalp and in this way, it also combats with dandruff. Method to use: Boil the curry leaves into oil until these curry leaves get started to black. Then strain the oil and keep this oil in an airtight container. Apply this oil on your hair for 60 minutes. You can use this remedy every time whenever you wash your hair. 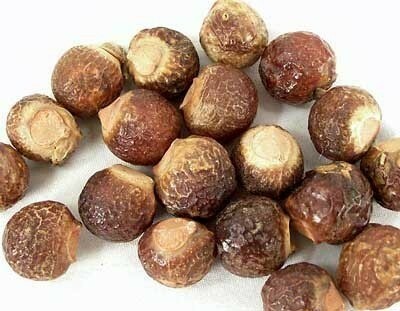 Soapnut is rich in vitamin A, D, and E. All these vitamins are good for healthy hair. It gives shine to the hair and also helpful for the growth of the hair. Soapnut is also clear dandruff and kills the lice from the hair. On the other hand, shikakai cleans the scalp, prevent graying of hair and gives you shiny hair. Method to use: Soak all these ingredients overnight. On the next morning, heat the mixture and turn the heat off when the mixture starts to boil. Allow it to cool and then blend. Strain the mixture to discard any residues of the ingredients. Now use this liquid as a shampoo to wash the hair. You can use this homemade shampoo once a week. As the only man in the house to three women I know about this as I am the one who usually unlocks the plug for the bath! I'll let them know about this post! Thank you for sharing the tips. I have to pass this blog post to my mother because she suffers a lot of this problem and you have dealt with it in a precise way with a very useful practical guide. Thank you. Some brilliant ideas here, thank you. I'll definitely be trying them out. These are really good ways to help with hair loss. I had an issue with it when I had my son and it can be so frustrating. Amazing tips. I am going to try the 4 oils one. Thanks for an excellent post. Glad you listed coconut oil first. It is proven and tested efficient for hair thickening and darkening. This reminded of my article on hairs. However, this is really good and informative. You have created the article very well. Many will be benefitted from it. Although I already knew about coconut oil, the tips will also help. Thanks. OMG my hair has been a hot mess lately!!! Thank you for this! As someone with Anemia and, after pregnancies, this is something that I have had a lot of issues with. this is very helpful! Totally need to keep this in mind. 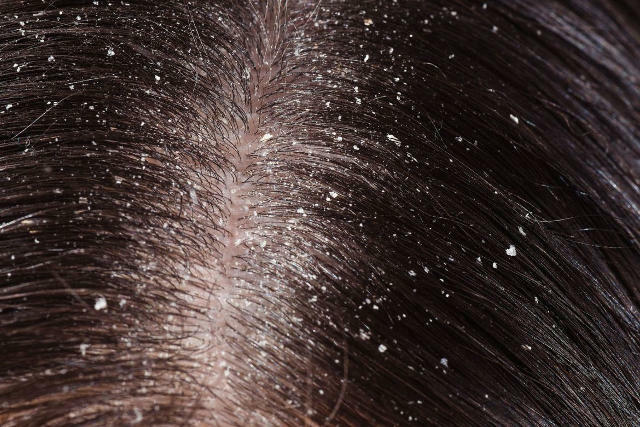 I had no idea there were so many DIY methods for helping thinning hair. I've been using collagen and I do notice a difference but I'd love to give some of these a go as well.